The Male Genitourinary Reconstructive Surgery Fellowship program is a one-year clinical program. The program focuses on genitourinary reconstructive surgery, prosthetic urology and infertility. Fellows are exposed to the most up-to-date surgical techniques to equip them to serve as educators and leaders in the field. In addition, we’re on the forefront of investigating the use of tissue engineering in reconstructive surgery, and the fellow has the opportunity to participate in research with the Wake Forest Institute of Regenerative Medicine. The fellow will also have the opportunity to work with Dr. Gopal Badlani on cases involving urinary diversion, bladder augmentation, ureteral reconstruction and more. The program is verified by the Society of Genitourinary Reconstructive Surgeons. The fellow will serve as a clinical instructor and will independently manage patients in the clinic and operative settings. Additionally, there will be numerous opportunities to participate in local and national meetings, as well as in the education of students, residents and other providers. This program is designed not only to afford proficiency in the most up-to-date surgical techniques, but also to expose trainees to the future of reconstructive medicine and equip them to serve as educators and leaders in this field. Gopal Badlani, MD, FACS, professor of urology and obstetrics/gynecology and vice chair for urology clinical affairs, directs Female Pelvic Health Services, a collaboration with Obstetrics and Gynecology. His National Institutes of Health-funded research focuses on urinary incontinence. Dr. Badlani is currently serving a two-year term as chair of the annual meeting of The Société Internationale d’Urologie and in 2017 will assume the role of secretary of the American Association of Genitourinary Surgeons. 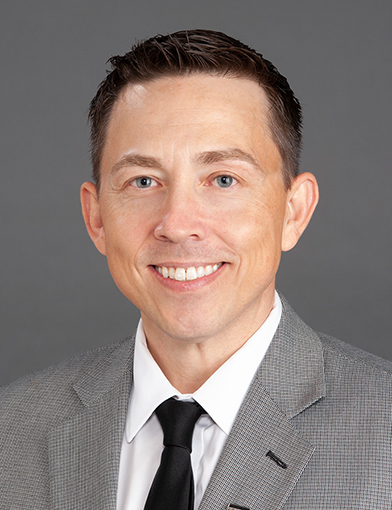 Ryan Terlecki, MD, FACS, associate professor, is director of the Men’s Health Clinic, the Urologic Cancer Survivorship Program, and the department’s fellowship in urologic reconstruction, prosthetic urology and male infertility. He is a recognized leader in urethral reconstruction, Peyronie’s disease, and prosthetic surgery for erectile dysfunction and male stress urinary incontinence. Additionally, he is an investigator in novel therapeutics that use cell-based and tissue-based technologies to treat urethral stricture, sexual dysfunction and urinary incontinence.